Piracy configured set-top boxes are the next big thing, today. 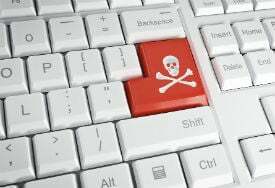 Millions have been sold around the world and anti-piracy groups are scrambling to rein them in. Many strategies are being tested, from pressurizing developers of allegedly infringing addons to filing aggressive lawsuits against sites such as TVAddons, a Kodi addon repository now facing civil action in both the United States and Canada. Also under fire are companies that sell set-top boxes that come ready configured for piracy. Both Tickbox TV and Dragon Media Inc are being sued by the Alliance for Creativity and Entertainment (ACE) in the US. At this stage, neither case looks promising for the defendants. 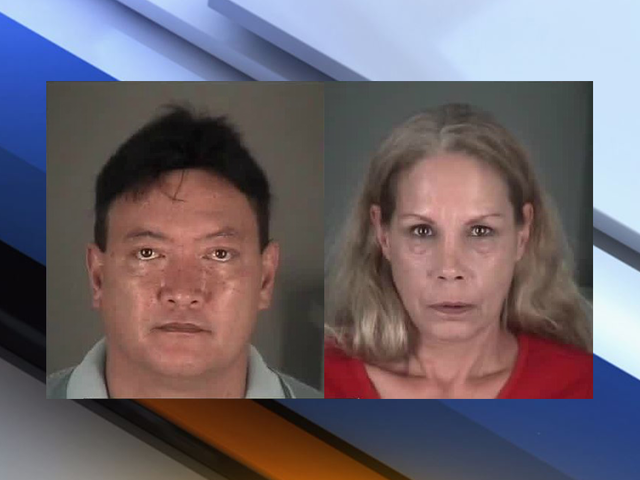 However, civil action isn’t the only way to deal with defendants in the United States, as a man and woman team from Tampa, Florida, have just discovered after being arrested by local police. As similar cases have shown, this kind of marketing spiel rarely ends well for defendants but the people behind NBEE TV (also known as FreeTVForLife Inc.) were either oblivious or simply didn’t care about the consequences. A company press release dated April 2017 advertising the company’s NBPro 3+ box and tracked down by TF this week reveals the extent of the boasts. “NBPRO 3+ is a TV box that offers instant access to watch every episode of any TV show without paying any monthly bill. One just must attach the loaded box to his TV and stream whatever they want, with no commercials,” the company wrote. But while “Free TV for Life” was the slogan, that wasn’t the reality at the outset. NBEETV’s Kodi-powered Android boxes were hellishly expensive with the NBPRO 1, NBPRO 3, NBPRO 5 costing $199.00, $279.00 and $359.00 respectively. This, however, was presented as a bargain alongside a claim that the “average [monthly] cable bill across the country is approximately $198.00” per month. On top of the base product, NBEETV offered an 800 number for customer support and from their physical premises, they ran “training classes every Tuesday and Thursdays at 11:00” for people to better understand their products. The location of that building isn’t mentioned in local media but a WHOIS on the company’s FreeTVForLife domain yields a confirmed address. It’s one that’s also been complained about in the past by an unhappy customer. “Free TV for LIFE [redacted]..(next to K-Mart) Hudson, Fl.. 34667. We bought the Little black box costing $277.00. The pictures were not clear,” Rita S. wrote. While this customer was clearly unhappy, NBEETV claimed to be a “movement which is spreading across the country.” Unfortunately, that movement reached the eyes of the police, who didn’t think that the content being offered on the devices should have been presented for free. “We saw [the boxes] had Black Panther, The Shape Of Water, Jumanji was on there as well,” said Detective Darren Hill. Detective Hill worked on the case with the MPAA but even from TorrentFreak’s limited investigations this week, the couple were incredibly easy to identify. 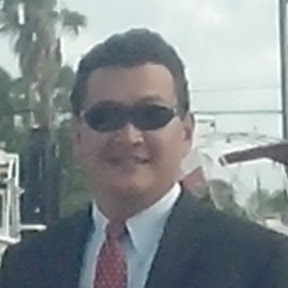 Aside from providing accurate and non-hidden address data in WHOIS records, Mickael Cantrell (also known as Michael Cantrell) put in his real name too. The listed email address is also easily traced back to a company called Nanny Bees Corporation which was operated by Cantrell and partner Nancy Major, who was also arrested in the NBEETV case. Unfortunately for the couple, the blundering didn’t stop there. Their company YouTube channel, which is packed with tutorials, is also in Cantrell’s real name. Indeed, the photograph supplied to YouTube even matches the mugshot published by ABC Action News. The publication reports that the Sheriff’s Office found the couple with around 50 ‘pirate’ boxes. The store operated by the couple has also been shutdown. Finally, another curious aspect of NBEETV’s self-promotion comes via a blog post/press release dated August 2017 in which Cantrell suddenly ups the ante by becoming Michael W. Cantrell, Ph. D alongside some bold and unusual claims. “Dr. Cantrell unleashes his latest innovation, a Smart TV Box that literally updates every ten minutes. Not only does the content (what you can view) but the whole platform updates automatically. If the Company changes an icon you receive the change in real time,” the release reads. Sounds epic….perhaps it powered the following video clip. For the past several years most of the world has been waking up to the streaming piracy phenomenon, with pre-configured set-top boxes making inroads into millions of homes. While other countries, notably the UK, arrested many individuals while warning of a grave and looming danger, complaints from the United States remained relatively low-key. It was almost as if the stampede towards convenient yet illegal streaming had caught the MPAA and friends by surprise. In October 2017, things quickly began to change. The Alliance for Creativity and Entertainment sued Georgia-based Tickbox TV, a company selling “fully-loaded” Kodi boxes. In January 2018, the same anti-piracy group targeted Dragon Media, a company in the same line of business. With this growing type of piracy now firmly on the radar, momentum seems to be building. Yesterday, a panel discussion on the challenges associated with piracy from streaming media boxes took place on Capitol Hill. Hosted by the Information Technology and Innovation Foundation (ITIF), ‘Unboxing the Piracy Threat of Streaming Media Boxes’ went ahead with some big name speakers in attendance, not least Neil Fried, Senior Vice President, Federal Advocacy and Regulatory Affairs at the MPAA. ITIF and various industry groups tweeted many interesting comments throughout the event. Kevin Madigan from Center for the Protection of Intellectual Property told the panel that torrent-based content “is becoming obsolete” in an on-demand digital environment that’s switching to streaming-based piracy. While there’s certainly a transition taking place, 150 million worldwide torrent users would probably argue against the term “obsolete”. Nevertheless, the same terms used to describe torrent sites are now being used to describe players in the streaming field. “There’s a criminal enterprise going on here that’s stealing content and making a profit,” Fried told those in attendance. “The piracy activity out there is bad, it’s hurting a lot of economic activity & creators aren’t being compensated for their work,” he added. Tom Galvin, Executive Director at the Digital Citizens Alliance, was also on the panel. Unsurprisingly, given the organization’s focus on the supposed dangers of piracy, Galvin took the opportunity to underline that position. Similar claims were made recently on Safer Internet Day but the facts don’t seem to back up the scare stories. Still, with the “Piracy is Dangerous” strategy already out in the open, the claims aren’t really unexpected. What might also not come as a surprise is that ACE’s lawsuits against Tickbox and Dragon Media could be just a warm-up for bigger things to come. In the tweet embedded below, Fried can be seen holding a hexagonal-shaped streaming box, warning that the Department of Justice is now looking for candidates for criminal action. 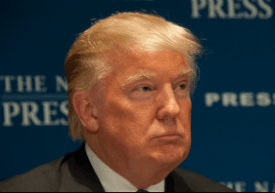 What form this action will take when it arrives isn’t clear but when the DoJ hits targets on home soil, it tends to cherry-pick the most blatant of infringers in order to set an example with reasonably cut-and-dried cases. Of course, every case can be argued but with hundreds of so-called “Kodi box” sellers active all over the United States, many of them clearly breaking the law as they, in turn, invite their customers to break the law, picking a sitting duck shouldn’t be too difficult. And then, of course, we come to President Trump. Not usually that vocal on matters of intellectual property and piracy, yesterday – perhaps coincidentally, perhaps not – he suddenly delivered one of his “something is coming” tweets. The U.S. is acting swiftly on Intellectual Property theft. We cannot allow this to happen as it has for many years! Given Trump’s tendency to focus on problems overseas causing issues for companies back home, a comment by Kevin Madigan during the panel yesterday immediately comes to mind. “To combat piracy abroad, USTR needs to work with the creative industries to improve enforcement and target the source of pirated material,” Madigan said. Interesting times and much turmoil in the streaming world ahead, it seems. Georgia-based TickBox TV is a provider of set-top boxes that allow users to stream all kinds of popular content. Like other similar devices, Tickboxes use the popular Kodi media player alongside instructions how to find and use third-party addons. Of course, these types of add-ons are considered a thorn in the side of the entertainment industries and as a result, Tickbox found itself on the receiving end of a lawsuit in the United States. Filed in a California federal court in October, Universal, Columbia Pictures, Disney, 20th Century Fox, Paramount Pictures, Warner Bros, Amazon, and Netflix accused Tickbox of inducing and contributing to copyright infringement. 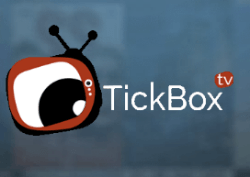 “TickBox sells ‘TickBox TV,’ a computer hardware device that TickBox urges its customers to use as a tool for the mass infringement of Plaintiffs’ copyrighted motion pictures and television shows,” the complaint reads. The copyright holders reference a TickBox TV video which informs customers how to install ‘themes’, more commonly known as ‘builds’. These ‘builds’ are custom Kodi-setups which contain many popular add-ons that specialize in supplying pirate content. Is that illegal? TickBox TV believes not. In a response filed yesterday, TickBox underlined its position that its device is not sold with any unauthorized or illegal content and complains that just because users may choose to download and install third-party programs through which they can search for and view unauthorized content, that’s not its fault. It goes on to attack the lawsuit on several fronts. TickBox argues that plaintiffs’ claims, that TickBox can be held secondarily liable under the theory of contributory infringement or inducement liability as described in the famous Grokster and isoHunt cases, is unlikely to succeed. TickBox says the studios need to show four elements – distribution of a device or product, acts of infringement by users of Tickbox, an object of promoting its use to infringe copyright, and causation. “Plaintiffs have failed to establish any of these four elements,” TickBox’s lawyers write. Firstly, TickBox says that while its device can be programmed to infringe, it’s the third party software (the builds/themes containing addons) that do all the dirty work, and TickBox has nothing to do with them. “The Motion spends a great deal of time describing these third-party ‘Themes’ and how they operate to search for and stream videos. But the ‘Themes’ on which Plaintiffs so heavily focus are not the [TickBox], and they have absolutely nothing to do with Defendant. Rather, they are third-party modifications of the open-source media player software [Kodi] which the Box utilizes,” the response reads. TickBox says its device is merely a small computer, not unlike a smartphone or tablet. Indeed, when it comes to running the ‘pirate’ builds listed in the lawsuit, a device supplied by one of the plaintiffs can accomplish the same task. “Plaintiffs have identified certain of these thirdparty ‘builds’ or ‘Themes’ which are available on the internet and which can be downloaded by users to view content streamed by third-party websites; however, this same software can be installed on many different types of devices, even one distributed by affiliates of Plaintiff Amazon Content Services, LLC,” the company adds. Referencing the Grokster case, TickBox states that particular company was held liable for distributing a device (the Grokster software) “with the object of promoting its use to infringe copyright.” In the isoHunt case, it argues that the provision of torrent files satisfied the first element of inducement liability. “In contrast, Defendant’s product – the Box – is not software through which users can access unauthorized content, as in Grokster, or even a necessary component of accessing unauthorized content, as in Fung [isoHunt],” TickBox writes. From defending itself, TickBox switches track to highlight weaknesses in the studios’ case against users of its TickBox device. The company states that the plaintiffs have not presented any evidence that buyers of the TickBox streaming unit have actually accessed any copyrighted material. Interestingly, however, the company also notes that even if people had streamed ‘pirate’ content, that might not constitute infringement. First up, the company notes that there are no allegations that anyone – from TickBox itself to TickBox device owners – ever violated the plaintiffs’ exclusive right to perform its copyrighted works. “Plaintiffs do not allege that Defendant, Defendant’s product, or the users of Defendant’s product ‘transmit or otherwise communicate a performance’ to the public; instead, Plaintiffs allege that users view streaming material on the Box. Taking this argument to its logical conclusion, TickBox insists that if its users aren’t infringing copyright, it’s impossible to argue that TickBox induced its customers to violate the plaintiffs’ rights. In that respect, plaintiffs’ complaints that TickBox failed to develop “filtering tools” to diminish its customers’ infringing activity are moot, since in TickBox’s eyes no infringement took place. TickBox also argues that unlike in Grokster, where the defendant profited when users’ accessed infringing content, it does not. And, just to underline the earlier point, it claims that its place in the market is not to compete with entertainment companies, it’s actually to compete with devices such as Amazon’s Firestick – another similar Android-powered device. Finally, TickBox notes that it has zero connection with any third-party sites that transmit copyrighted works in violation of the plaintiffs’ rights. “Plaintiff has not alleged any element of contributory infringement vis-à-vis these unknown third-parties. Plaintiff has not alleged that Defendant has distributed any product to those third parties, that Defendant has committed any act which encourages those third parties’ infringement, or that any act of Defendant has, in fact, caused those third parties to infringe,” its response adds. Given the above, TickBox says that the plaintiffs’ application for injunction is both vague and overly broad and would impose “imperssible hardship” on the company by effectively shutting it down while requiring it to “hack into and delete content” which TickBox users may have downloaded to their boxes. TickBox raises some very interesting points around some obvious weaknesses so it will be intriguing to see how the Court handles its claims and what effect that has on the market for these devices in the US. In particular, the thorny issue of how they are advertised and promoted, which is nearly always the final stumbling block.